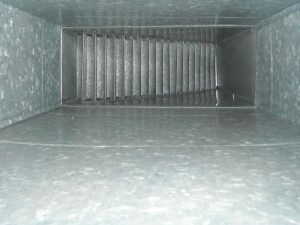 Hospital Duct Cleaning Requires Extra Care - Pure Air Control Services Inc. It doesn’t take a doctor to tell you that Indoor Air Quality is important in a hospital. Mold spores along with bacteria and other contaminants can contribute to deadly hospital acquired infections (HAI), also referred to as nosocomial infections. Sadly, the Centers for Disease Control (CDC) estimates that 1.7 million nosocomial infections occur each year, with nearly 100,000 associated deaths. Regular hospital duct cleaning should be part of every institutions infection control and indoor air quality plan. A hospital’s air conveyance systems pushes up to 30 cubic feet per minute of air through its ducts. Given the sheer volume of air and need for the exchange of outside air in a healthcare environment, build up of contaminants in the duct system is inevitable. The collection of debris like human skin cells, hair, linen, and dust inside ducts present an available food source for bacteria to proliferate. That’s why extra care is required for hospital duct cleaning. The physical process to hygienically clean ductwork does not change in the hospital and healthcare environment. What does change, however, is the process for maintaining a safe environment for the patients and staff of the medical facility. The most important concern for the facilities engineering department at a hospital is to ensure that contaminants are not spread throughout the building envelope. To achieve this goal, joint preparation between the facility and Pure Air Control Services is vital to the success of a hospital duct cleaning project. Communication in conjunction with coordination between the facilities staff, nurses, environmental health and safety as well as other hospital stakeholders is of primary importance. For example, Pure Air Control Services and the facility staff review the hospital’s Infection Control Risk Assessment (ICRA) together to determine whether those protocols apply to the project. If required, then additional steps will be taken to comply with the hospital’s specific ICRA policies. Furthermore, Pure Air Control Services understands the importance of the Joint Commission on the Accreditation of Healthcare Organizations (JCAHO). While JCAHO does not currently have a specific hospital duct cleaning standard, it does have standards for the occupied spaces that could be directly affected by the process of duct cleaning if an inexperienced HVAC contractor is used. To maintain compliance with JCAHO regulations, pre and post indoor environmental testing may be completed to verify the hygienic conditions of the ductwork and adjacent occupied spaces. Pure Air Control Services’ documentation during each project is highly detailed. The stakeholders at the facility are provided with thorough documentation and a report demonstrating proper safety measures were implemented during the hospital duct cleaning process. The key piece of the puzzle for ensuring safety during hospital duct cleaning is establishing proper containment barriers under negative pressurization. Pure Air Control Services’ containment systems always utilize the highest standard of HEPA filtration. Mobile containment equipment, also known as “pop-up cubes” are typically used anytime a ceiling tile is accessed or work is conducted outside of the air conveyance system. In other scenarios, larger containment areas need to be constructed by Pure Air Control Services technicians. Containment is not just a concept that applies to the occupied space of the hospital environment. Containment is also occurring behind the ceiling within the hospital ductwork. The ductwork is placed under a negative 5 Pascal field to ensure the contaminants being agitated are pulled into the direction of the HEPA filtered air collection device. Sections of the hospital ductwork are sealed off. Then filter media is placed in all supply and return registers . Finally these registers are covered with duct mask to prevent cross contamination. No disinfectants are used the hospital duct cleaning process, unless Pure Air Controls Services and facility staff communicate about the type of product requested, review its MSDS sheet and evaluate the its potential for VOC off gassing. Little things make the biggest difference for hospital duct cleaning. Pure Air Controls Services’ IAQ/HVAC technicians are routinely trained on the important details for ensuring safety in the hospital environment. For instance, our technicians are trained to review their personal and exterior clothing and gear to ensure they are clean before stepping out of containment. Technicians are also trained to watch every single register in the section of ductwork to be certain no contaminants have escaped. In addition, our equipment and HEPA filters are routinely checked and upgraded as needed. The Pure Air Control Services staff is also tested for pre-existing health concerns as part of the background process for working in a hospital. How often should a hospital have duct cleaning? There is no specified ASHRAE/ASHI standard, nor any guidance from JCAHO for how often hospitals need to clean their ducts. In our experience, due to the nature of healthcare environments, hospitals should clean their ducts every three to five years. 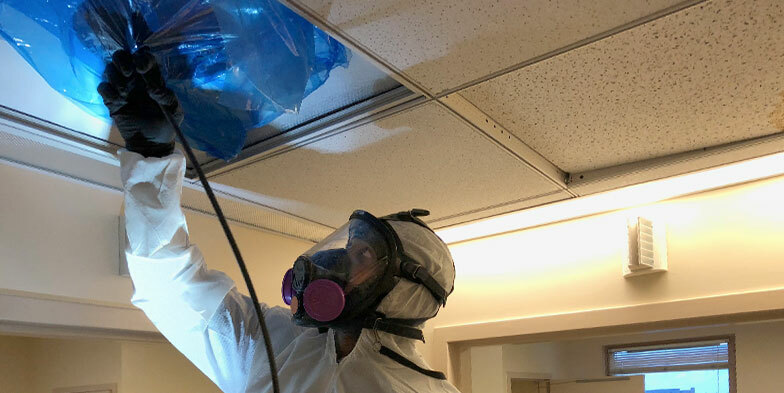 Pure Air Controls Services’ Building Sciences division can provide HVAC Hygiene Assessments that are done prior to PURE-Duct cleaning to understand the extent of the contamination of the ducts prior to commencing the hospital duct cleaning project. Building Sciences can also monitor the the duct cleaning project while in progress and conduct testing after the project is complete to demonstrate that good baseline was maintained and improved. Hospitals are in a state of constant operations compared to other commercial and institutional facilities that are only occupied during daytime hours. They are occupied 24/7. 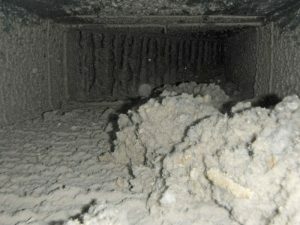 The sole purpose of cleaning the ducts and entire HVAC system is to optimize indoor air quality. That’s why complying with strict protocols, being vigilant with containment, and testing the environmental conditions throughout the process are necessary extra steps to protect the well being of occupants during hospital duct cleaning. For more information on Building Sciences environmental testing or PURE-Duct cleaning for hospitals please contact the IAQ experts at 1-800-422-7983.